Life’s a balancing act for me. "Ah! I remember the days ten years ago when I was a hobby quilter. I made intricate baby quilts for every pregnant woman that I knew. 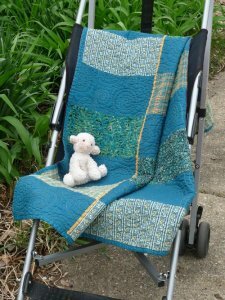 But as is the case with the cobbler’s children who have no shoes, now that I’m a professional quiltmaker and have 15 labor-intensive quilts on my dance card at the moment, 200-piece baby quilts are a thing of the past. The other issue is that when people know that you design and make quilts for a living, you can’t show up with a Diaper Genie at a baby shower. There’s an unspoken expectation that there’s going to be a quilt. No pressure, right? 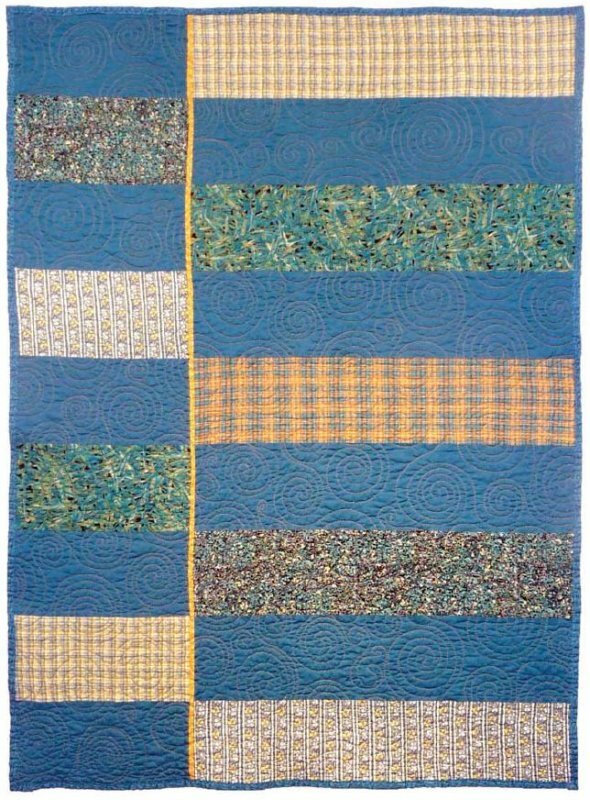 "So Bill and I decided to design a quilt that could be made in a few hours but would still be fun and modern. We tend to make baby quilts that are not in baby colors because we want the quilt to be appealing to the child when they’re a toddler and preschooler too. We had some yarn-dyed fabrics in the studio and had fun pairing them with contemporary prints and solids. Baby quilts are so small that I think you can really be adventurous with mixing fabrics. Be sure to check out her blog, Craft Nectar, where you will find a wealth of articles, from crafts and cooking to inspiration and quilting! Also be sure to take a look at her website, Fun Quilts, where you will find tons of patterns, fabrics, and kits, as well as a gallery of Weeks' work and information about her magazine, Modern Quilts Illustrated.